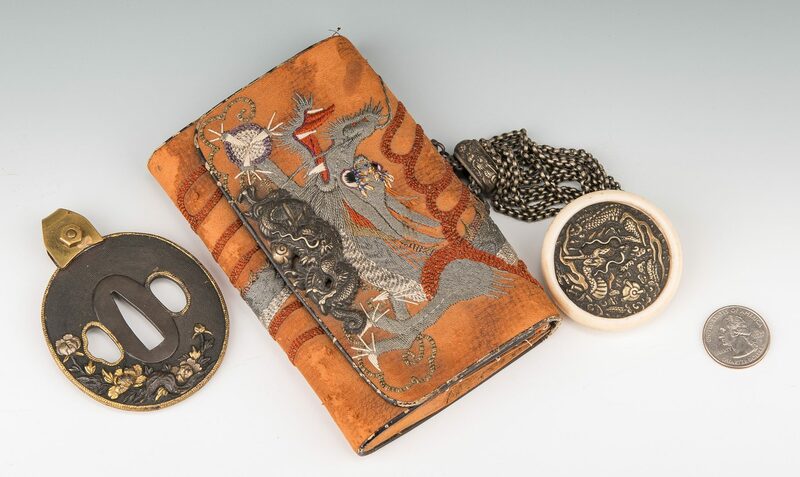 Two (2) Japanese items. 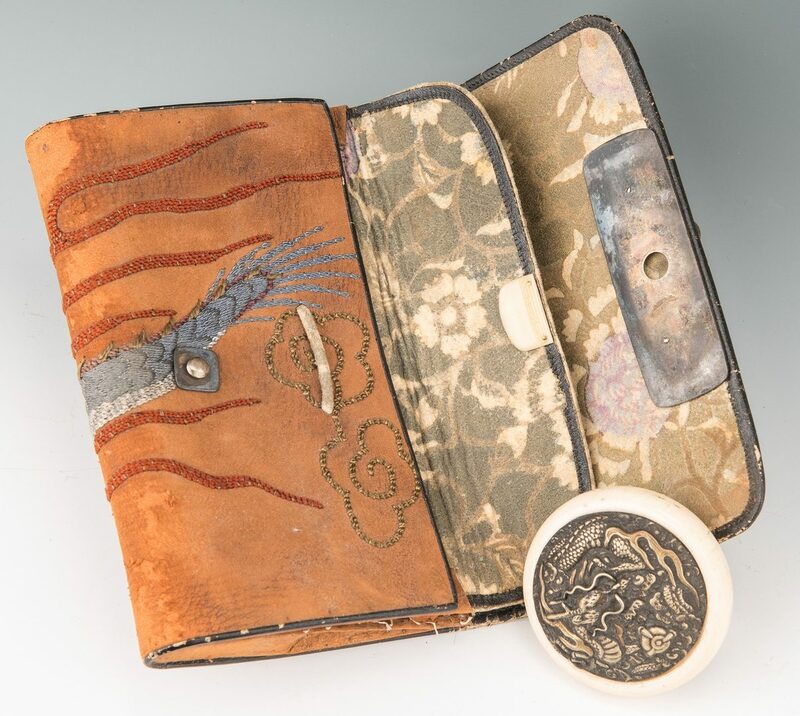 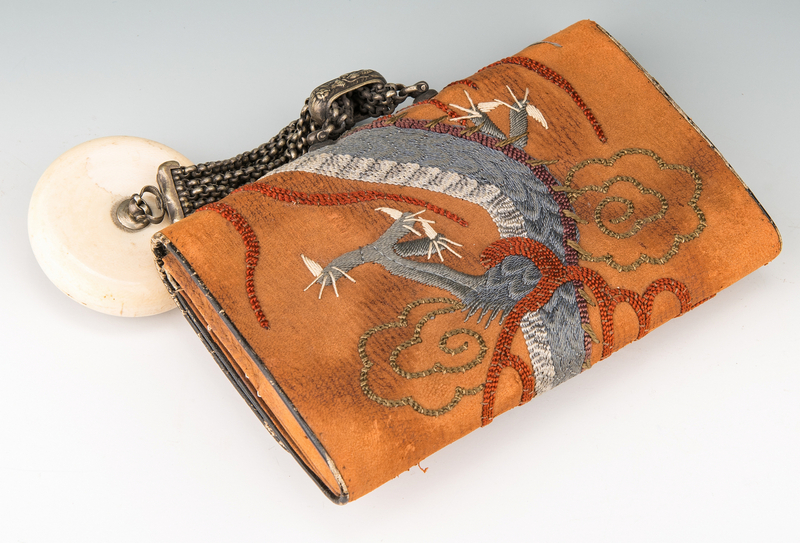 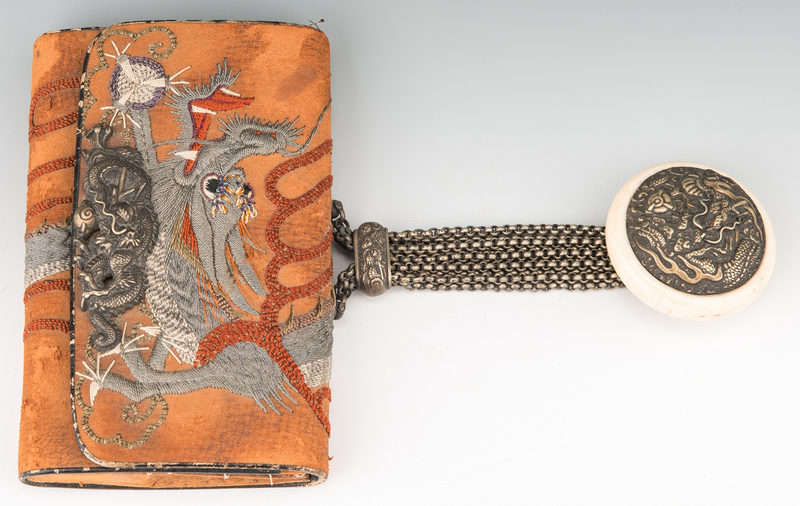 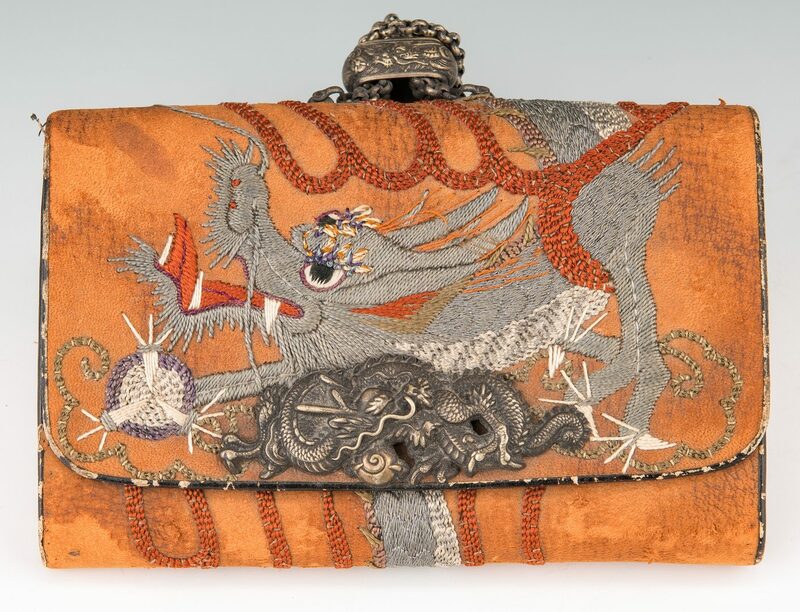 1st item: Japanese Meiji period embroidered silk tobacco pouch with dragon chasing the flaming pearl decoration, silver metal dragon clasp and bone and silver metal Kagamibuta netsuke with dragon decoration. 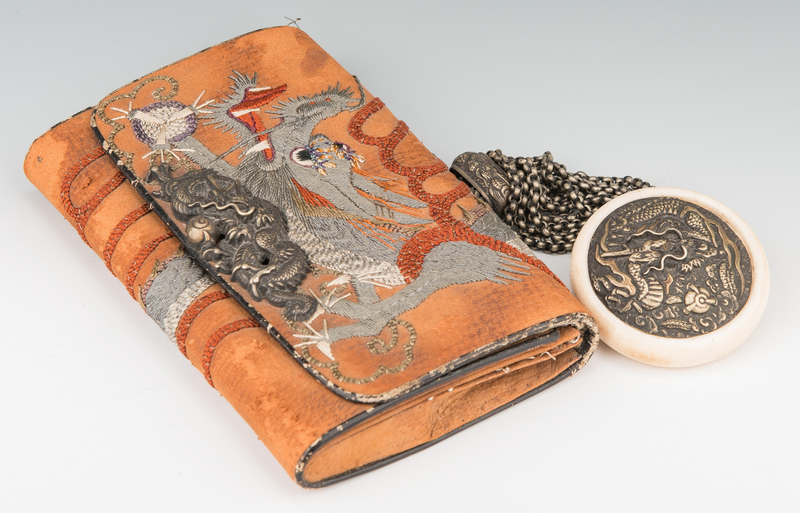 Pouch – 3 1/4" H x 5 1/4" W. Netsuke – 2" dia. 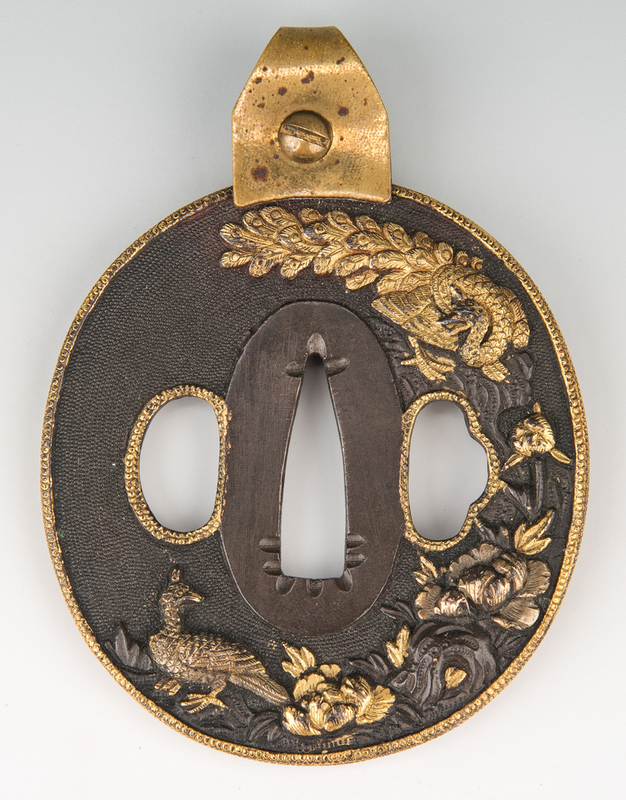 2nd item: Japanese Meiji period mixed metal tsuba with pheasant, phoenix and foliate decoration. 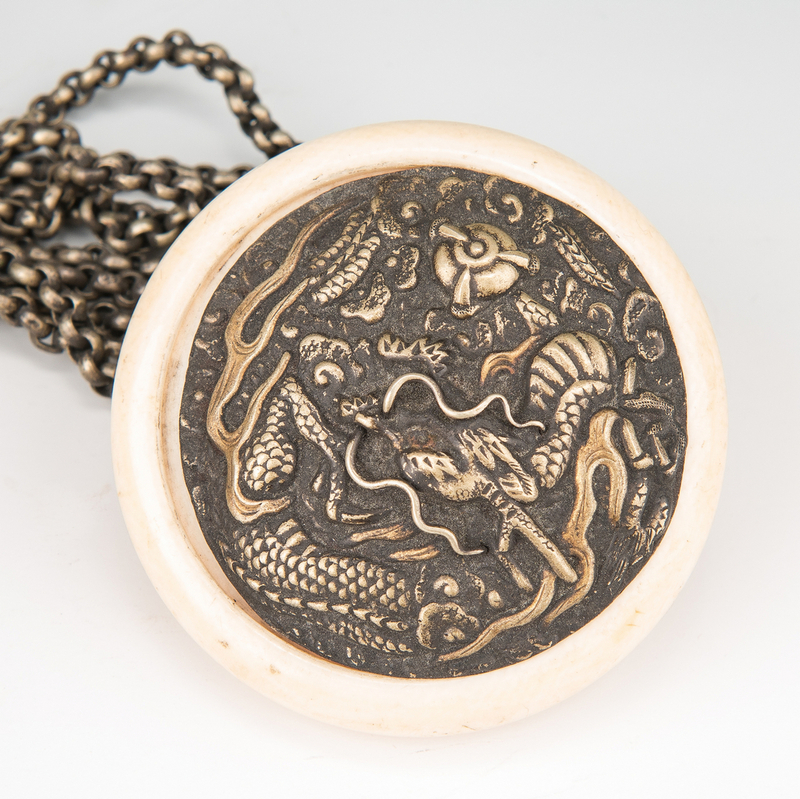 Later added mount (removable) added so that tsuba can be worn as a pendant. 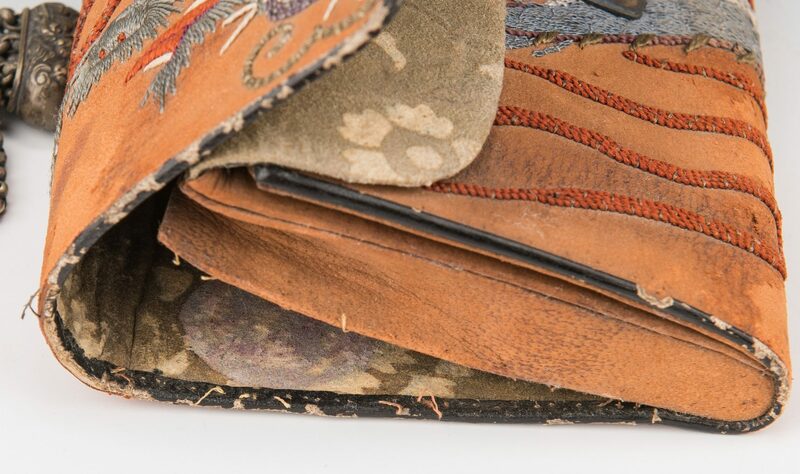 2 3/4" H x 2 1/2" W. CONDITION: 1st item: Some general use wear and losses to pouch, mostly to the edges. 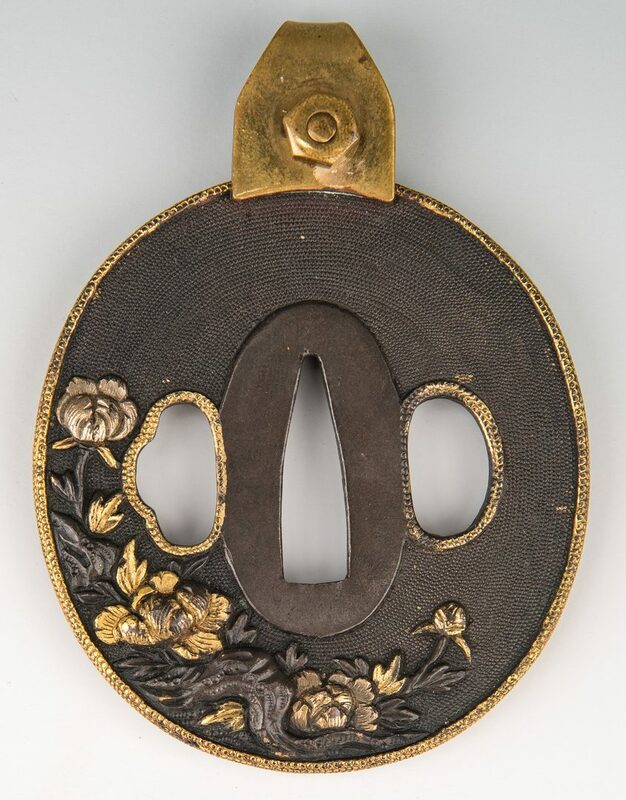 2nd item: Later added mount (removable) added so that tsuba can be worn as a pendant.